Our mission is to help organizations to manage, control and protect their IT assets in a cost effective and efficient way by providing a comprehensive set of Software- and IT Asset Management training. What is SAM and ITAM? Every euro made by your organization is touched by technology! Software – and IT Asset Management have become a “must have” core business function for all organizations. There are several compelling reasons why organizations invest more in IT Asset Management these days. Digital businesses and digital transformation is not possible without software. IT leaders are forced to deliver better processes and cost transparency to improve IT services, license compliance and alignment with business objectives. 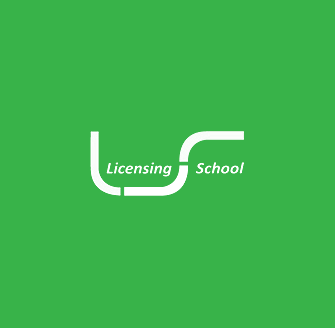 Subscription licensing requires that hybrid solutions and traditional licensing scenarios can be managed in tandem. Moving to the cloud demands more detailed SAM data analysis to contain costs. Due to the increased complexity and volume of user environments the scope of Software – and IT Asset Management is broadening and needs to be implemented as a governance function. Cybersecurity and the GDPR are important drivers for Software – and IT Asset Management and can put a business at risk if not managed in a responsible way. Frank Tijhuis has more than 30 years of experience in the IT Industry working at companies like Philips and Microsoft. His education spans IT, finance, economics and marketing. With the speed at which technology changes, organizations need to sustainably implement practices to manage IT assets from a contractual, physical and inventory perspective. Kresko 360 provides international recognized training that can be delivered globally. 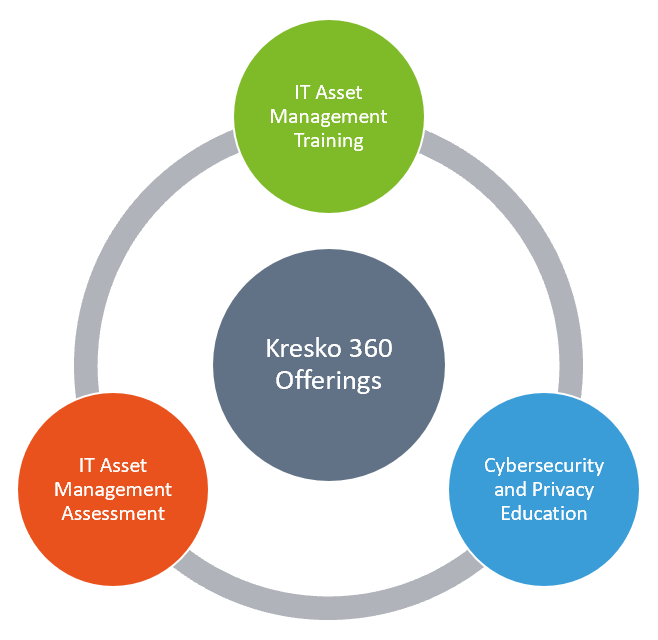 Kresko 360 is an Accredited Training Organization for the International Association of IT Asset Managers (IAITAM) and offers the complete IAITAM training portfolio. Training is delivered in-class, on-premise or on-line. 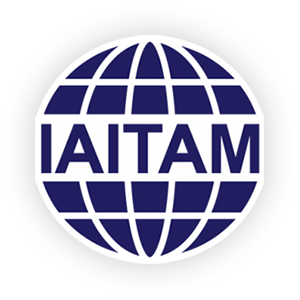 IAITAM courses have been accepted around the globe as the industry benchmark for excellence in IT Asset Management education. Kresko 360 offers training to enable Microsoft partners to deliver SAM Solution Assessments in a qualitative and efficient manner. Through the funding of selected engagements, Microsoft provides partners the opportunity to introduce customers to SAM best practices, tools and resources. The engagement can support the partner in building a long term relationship with the customer. Training can be delivered on-line and on-site. Kresko 360, through a partnership with MediaPro, can provide customers with a wide range of security awareness, privacy awareness and corporate compliance training. A thorough understanding of the issues our customers face and the needs they have, supports the implementation of our services and solutions in an efficient way and with a short term ROI. The deliverable of Takso 360™, our comprehensive IT Asset Management Assessment methodology, is an actionable implementation plan. Kresko 360 offers training to enable Microsoft partners to deliver SAM Solution Assessments in a qualitative and efficient manner. Through the funding of selected engagements, Microsoft provides partners the opportunity to introduce customers to SAM best practices, tools and resources. With the introduction of the SAM solutions assessments, Microsoft want to increase the value of the assessments for customers. Therefore, topics as Cloud Productivity, Cybersecurity and GDPR are now covered within the SAM program. These assessments support SAM partners in building a long term relationship with their customers. To provide customers with high-value Cybersecurity and GDPR assessments, you will need to pull security related data from the IT environment. This is a challenge. Most inventory tools are not capable of gathering enough relevant security related data. Furthermore, to deliver a high-value assessment, you will need to put in many hours to draw up a valuable report with actionable insights, due to the complexity of the security landscape. A well-designed Cybersecurity or GDPR Assessment, provides organizations with a risk- and fact-based view of the challenges and opportunities associated with cybersecurity and GDPR. In addition to addressing rapidly changing cybersecurity threats and risks it also demonstrates to the relevant authorities that the organization is actively working to improve its security posture and is working towards GDPR compliance. 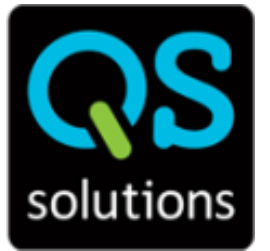 QS solutions has developed The Cyber Security Assessment Tool (CSAT). The CSAT will help your organization to deliver more value in the SAM Cybersecurity and GDPR Assessments. The deliverable of the automated scans is a report that provides insight into security vulnerabilities, based on data from the customer’s on-premises infrastructure and Office 365. The CSAT provides recommendations and an action plan to improve security. The CSAT reduces the time you spend in the engagement while increasing the value you deliver. It’s the perfect way to do an up-sell to new security projects and licenses and help your customers to demonstrate that they take security seriously. ©	2019 Kresko 360 AS. All Right Reserved.